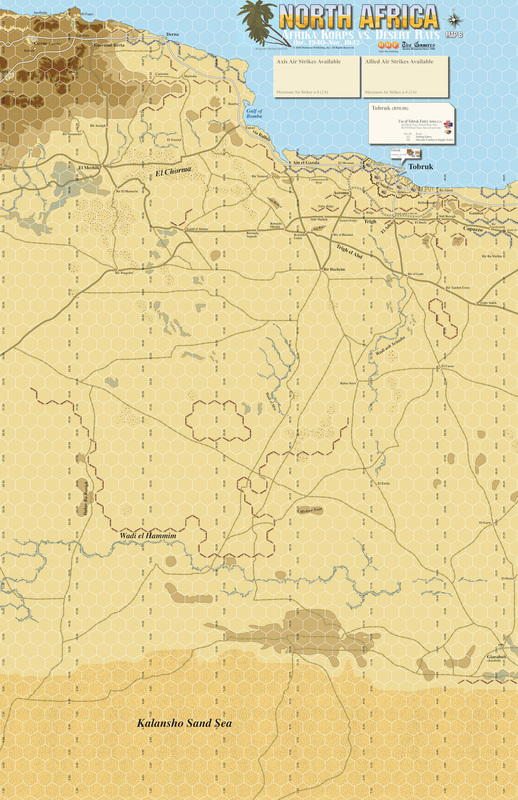 North Africa (Standard Combat Series [SCS]) covers all of the fighting in the Western Desert from the beginning of Operation COMPASS until the final battles at El Alamein. 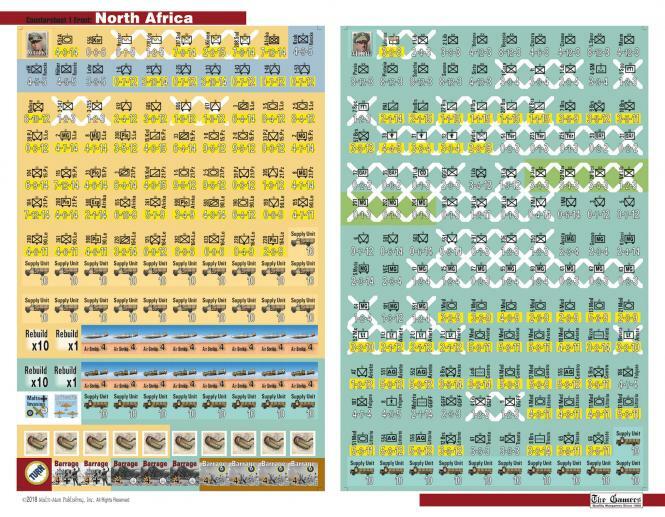 This is the award-winning Operational Combat Series monster game DAK in a tighter, faster-playing SCS format. North Africa trims one map that extended into Egypt from the original DAK format and cuts numerous unit counters and markers not needed in the SCS format. 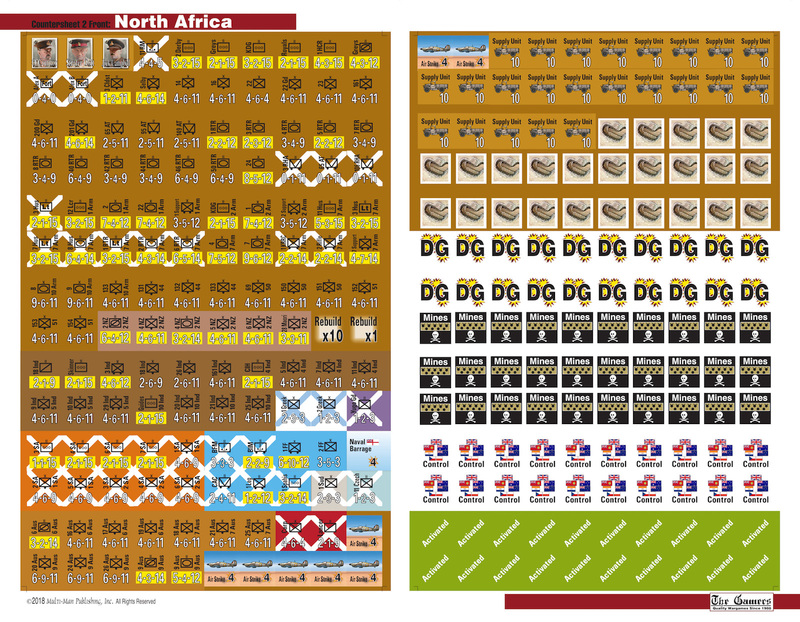 The game uses a unique activation system tied to Supply Units, which must be saved up to create large-scale offensives. Supply is scarce enough to make tracking easy and naturally is central to this critically important aspect of North African warfare. 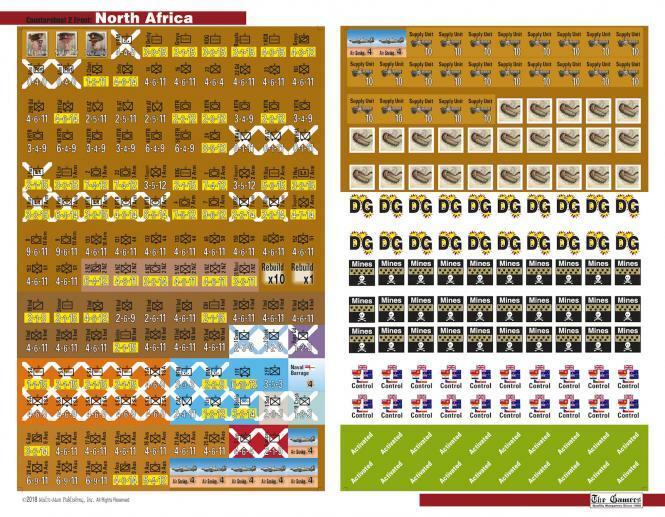 The game utilizes Leaders, Forts, Mines, Random Events, Capture Awards, Withdrawals to Far Away Lands, and The Greek Campaign. It also includes a nifty little optional Operations rule that allows players to tie their moves into a larger plan of their own making, thus giving more context to what they are doing than is normally the case.